Following a sold-out run at London's Young Vic, Joe Murphy and Joe Robertson’s acclaimed play The Jungle will transfer to the West End this spring. The Playhouse Theatre will be completely reconfigured to accommodate the audience-integrative concept developed by scenic designer Miriam Buether. Co-directed by Stephen Daldry and Justin Martin, The Jungle will begin previews on June 16 with an opening set for July 5. "We’re thrilled to bring this play to new audiences and to the West End, in a totally transformed Playhouse Theatre, a stone’s throw from Parliament," said Murphy and Robertson in a joint statement. The Jungle tells stories of loss, fear, community and hope amid the creation of France's Calais camp and its eventual destruction. 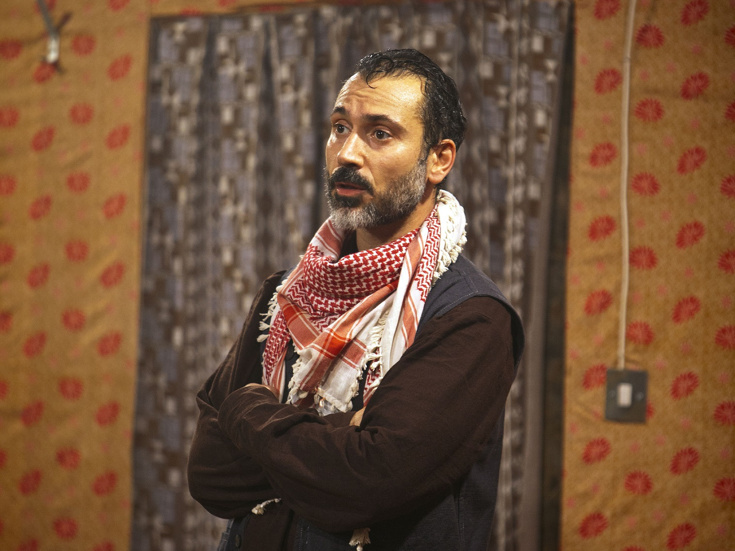 The majority of the Young Vic cast will transfer with the production, including Ammar Haj Ahmad, Mohammad Amiri, Girum Bekele, Elham Ehsas, Trevor Fox, Moein Ghobsheh, Ansu Kabia, Alex Lawther, John Pfumojena, Rachel Redford, Rachid Sabitri, Mohamed Sarrar, Ben Turner and Nahel Tzegai. The play's production team will also include costume design by Catherine Kodicek, lighting design by Jon Clark, sound design by Paul Arditti and original music by John Pfumojena.